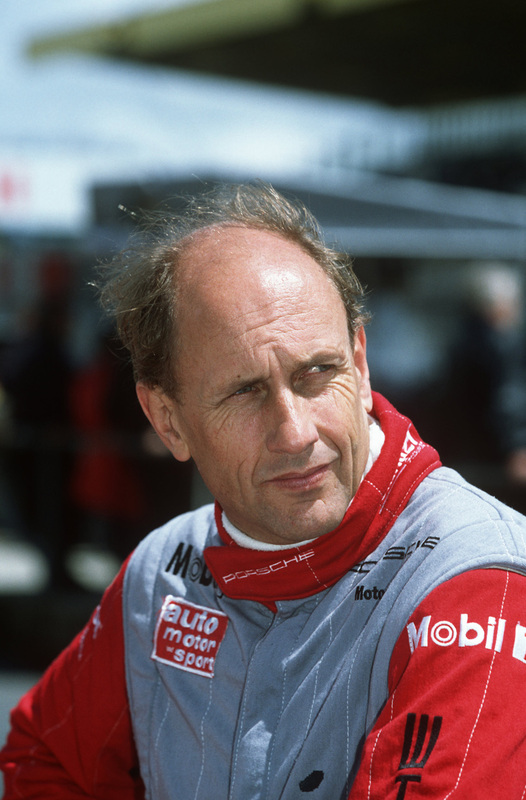 For many years, Hans-Joachim Stuck was an integral part of the Porsche works team. Even as President of the German Motorsport Association (DMSB), he maintains close contact with fellow car enthusiasts working for racing manager Peter Falk. Hans-Joachim Stuck, nicknamed ‘Strietzel’, has been part of the German motor racing world since 1970. The son of Hans Stuck, a master hill climber, he won the 24 Hours Nürburgring at the age of 19 with a BMW 2002. He was later a celebrated Formula Two winner at the Hockenheim circuit and went on to achieve good results in Formula One. In 1985, he joined the Porsche works team, succeeding Stefan Bellof, who focused on a career in Formula One. For racing manager Peter Falk, this was a very good choice: ‘Stuck uses his brains and doesn’t react by putting his foot down. He understands every strategy and follows them consistently. Stuck is an exceptional driver and very popular in the team.’ The appreciation was mutual: originally from Bavaria, Stuck was a Porsche man through and through in those years. Whenever a driver was needed for tests on the track, Stuck was there. It follows that there is a long list of convincing successes. He was endurance world champion in 1985 and winner of the highly paid Supercup with the Porsche 962 C. Additionally, he won at Le Mans in 1986 and 1987, again with the series winner in Group C. In 1993, Stuck became IMSA supercar champion in a Porsche 911. Between these victories, he was champion of the DTM in 1990 with an Audi V8 quattro. His career ended in 2011, after he came 15th in the 24 Hours Nürburgring, driving a Lamborghini with his sons Johannes and Ferdinand Stuck as well as Denis Rostek.